Logistics includes the organization, control, provision and optimization of all processes of goods, information, energy, money and personal flows along the value chain and supply chain. A small part of this is the capture and 3D digitization of inventory in warehouses. 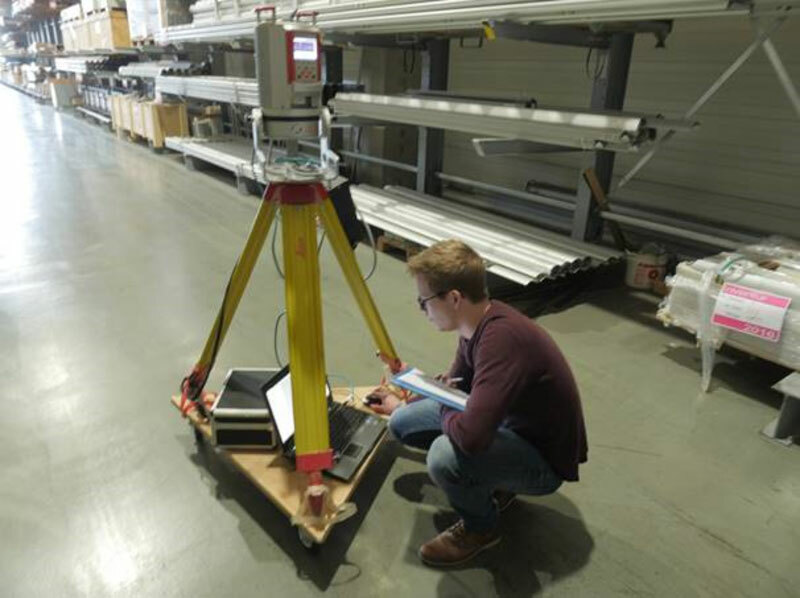 The specific task of this project was to use the 3D surveying method to roughly calculate the volume of the inventory in the hall. This was necessary for developing a “relocation plan” and therefore a reconception of the hall and its content. The surveying took place in February 2017. 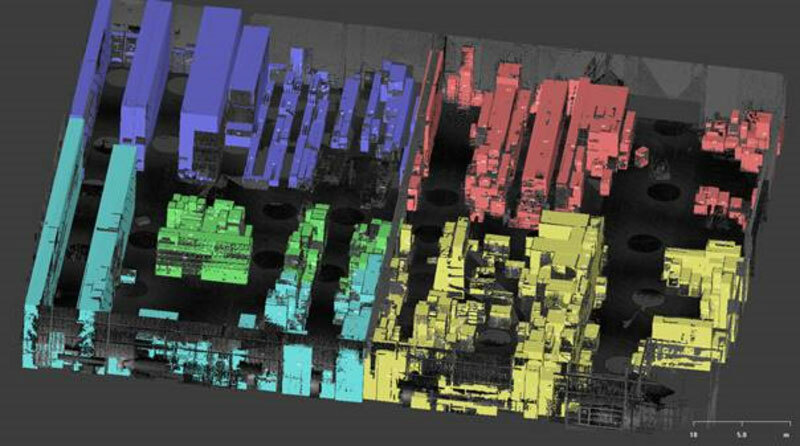 On site, a team of two engineers conducted the survey using a Riegl VZ-400 3D laser scanner. The sanner was mounted on a tripod, which in turn was on a mobile platform, so that it was easily possible to move with the scanner in the hall. The three-dimensional recording of the hall was achieved by setting a total of about 150 different 3D laser scan positions. With extensive experience in 3D data processing and with differrent “in-house” programmed tools, we were able to extract, lable and analyze all solids. The client received reliable volume data for the further planning of the “relocation”.